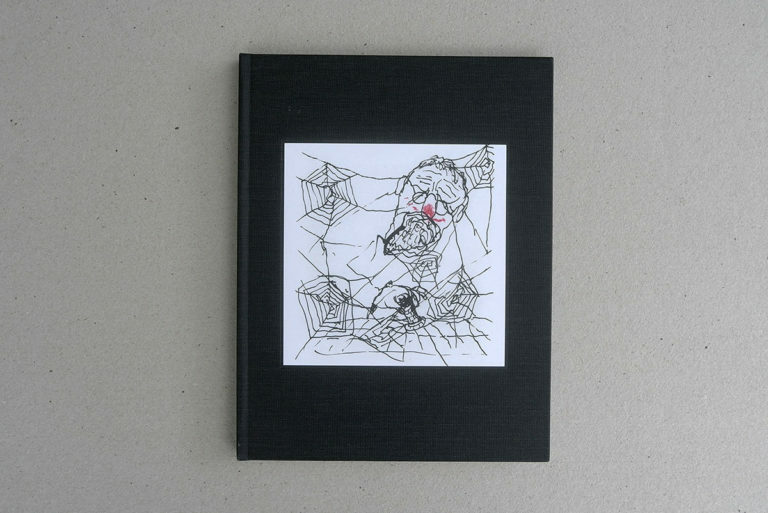 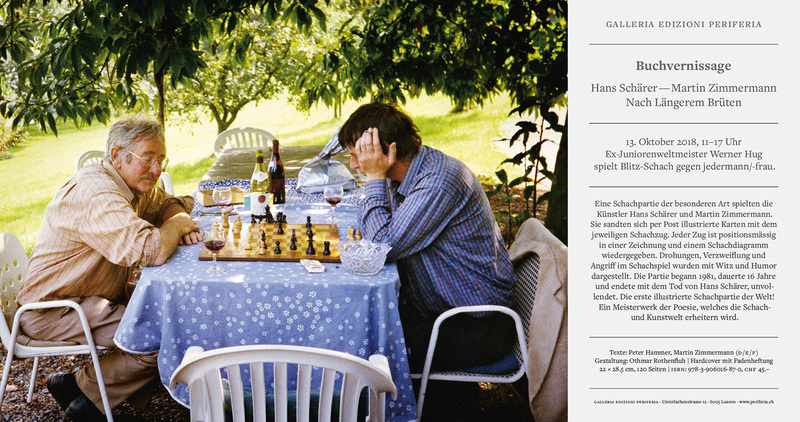 Essays: Peter Hammer, Martin Zimmermann. 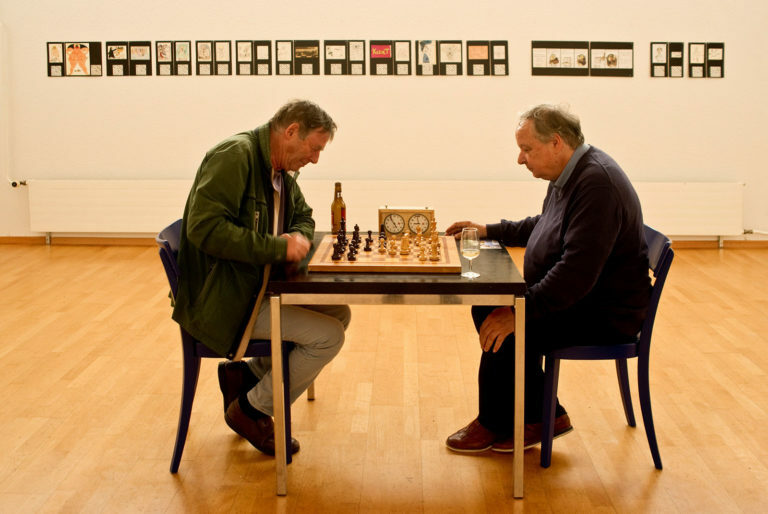 22 x 28.5 cm, 120 p.
The artists Hans Schärer and Martin Zimmermann played an exceptional and exceptionally offbeat game of chess. 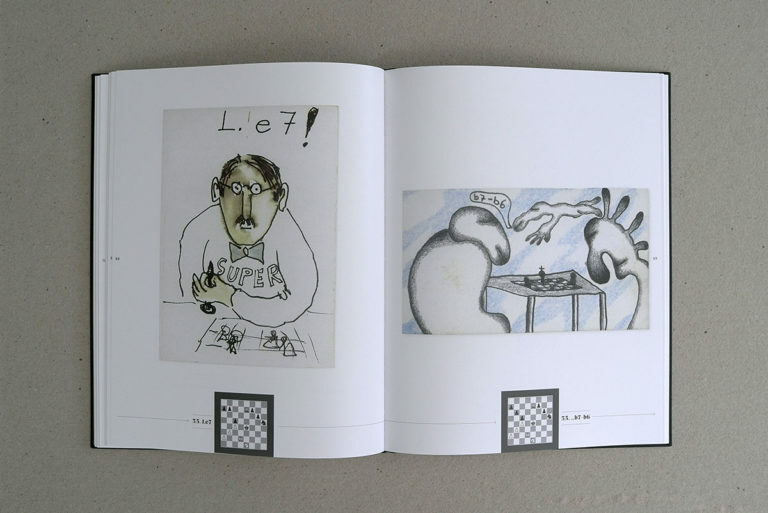 They mailed one another illustrated postcards of their respective moves, in witty and humorous takes on the threats, despair and attacks that characterize chess. The game began in 1981, lasted 16 years and ended, unfinished, with the death of Hans Schärer. 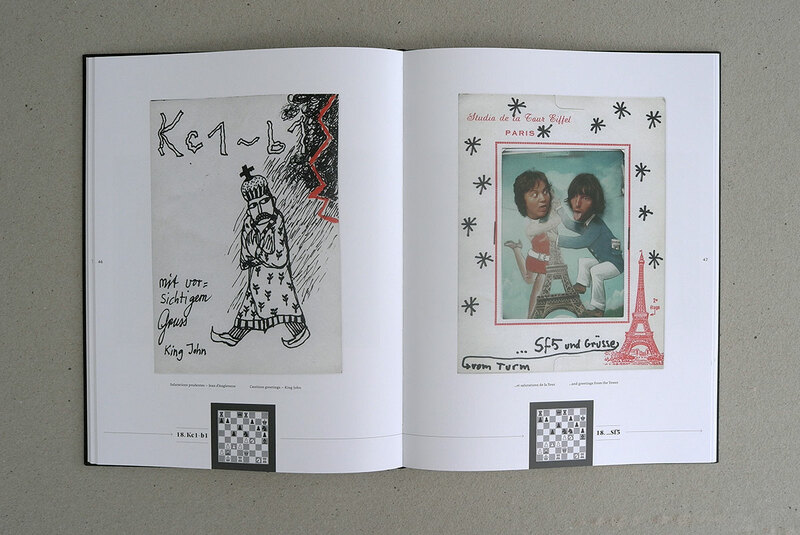 The world's first illustrated game of chess! 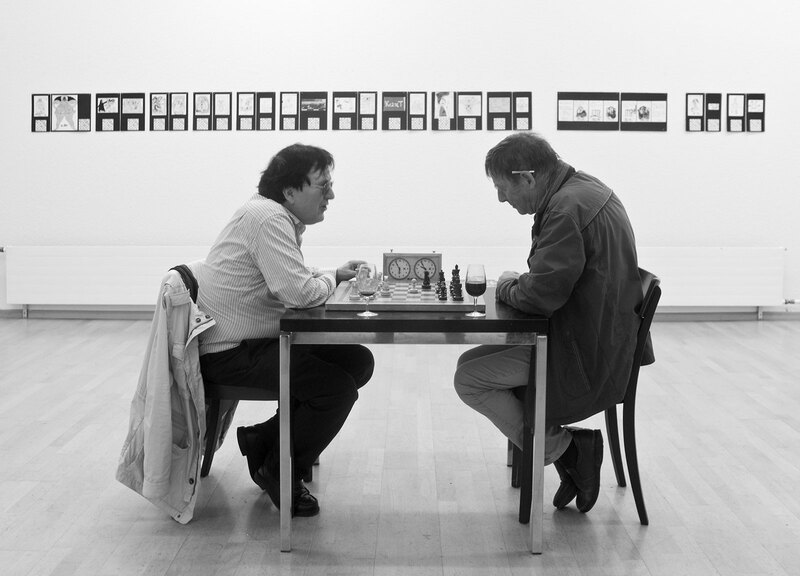 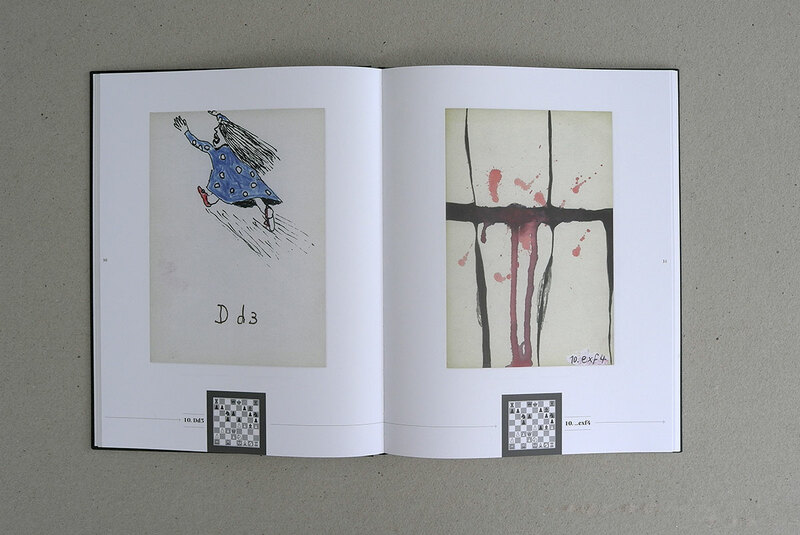 A poetic masterpiece that will delight lovers of both chess and art.